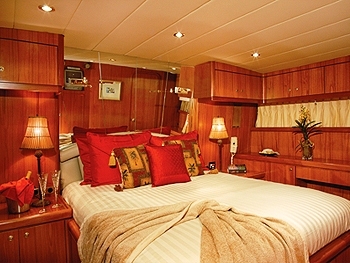 Motor Yacht SEMPER FI is a 64ft Horizon which was launched in 1999 and was refitted in 2005 with new leather upholstery & cushions throughout, new linens, towels, drapes and furnishings in staterooms. New Glassware, Crockery and Tableware was purchased and the A/C System, Refrigeration, Hot Water System and electronics were upgraded. 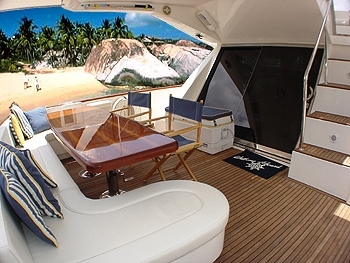 SEMPER FI is a Caribbean motor yacht which is based year round in the Virgin Islands so the professional crew of two have excellent local knowledge of the area. 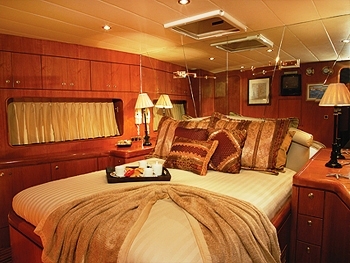 SEMPER FI offers spacious accommodation for 6 guests in three double cabins all with ensuite bathrooms. 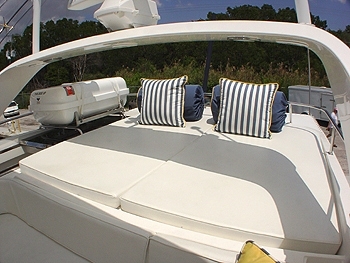 Her salon is comfortable with cool modern decor and plenty of natural light. 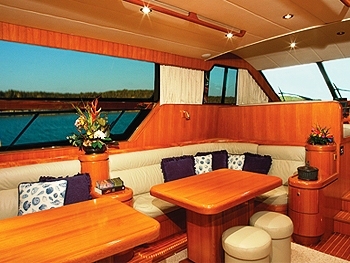 SEMPER FI has two separate dining areas – one inside in the salon and a second alfresco dining area on the aft deck. 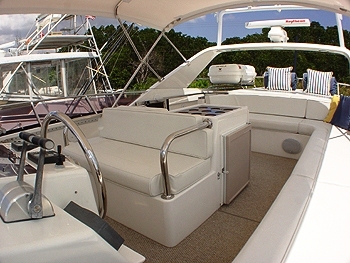 This is shaded by the top deck and is the ideal place to enjoy the warm Caribbean climate in a protected setting. 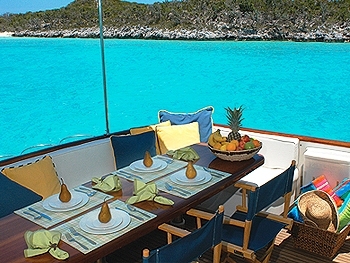 For sunlovers, the flybridge is fitted with sunpads with guests can relax and soak up the Caribbean rays. 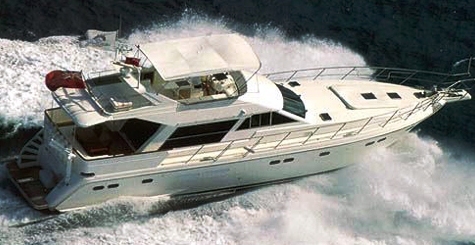 For the more energetic, SEMPER FI is equipped with a range of water toys and entertainment facilities. 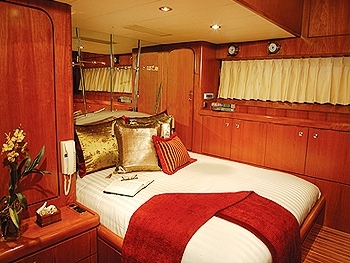 SEMPER FI offers a charter rate plus all expenses of US$17,000 per week OR an All-inclusive rate except for fuel as indicated. 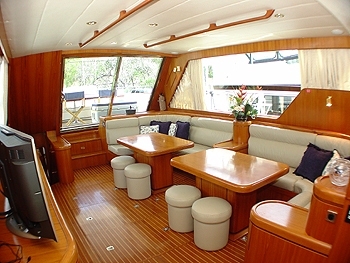 The rate varies depending on the number of guests onboard and the season.